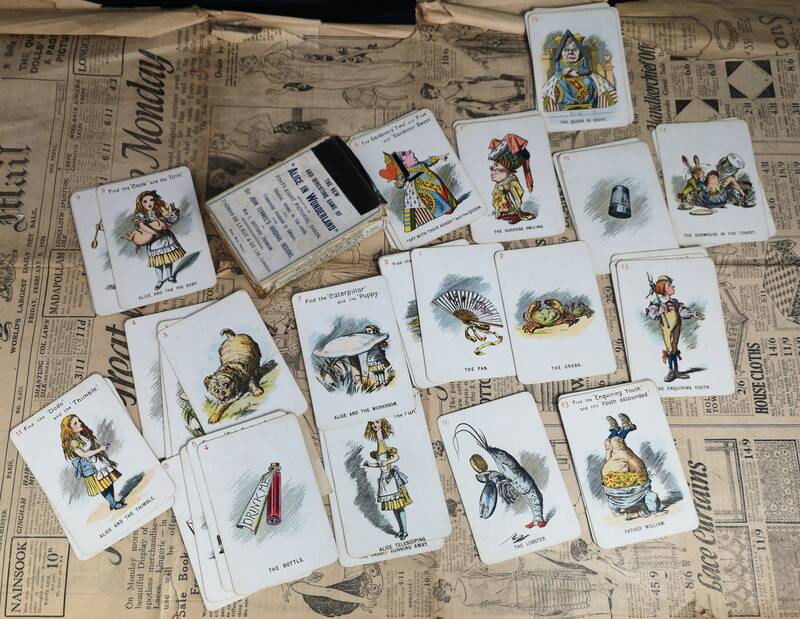 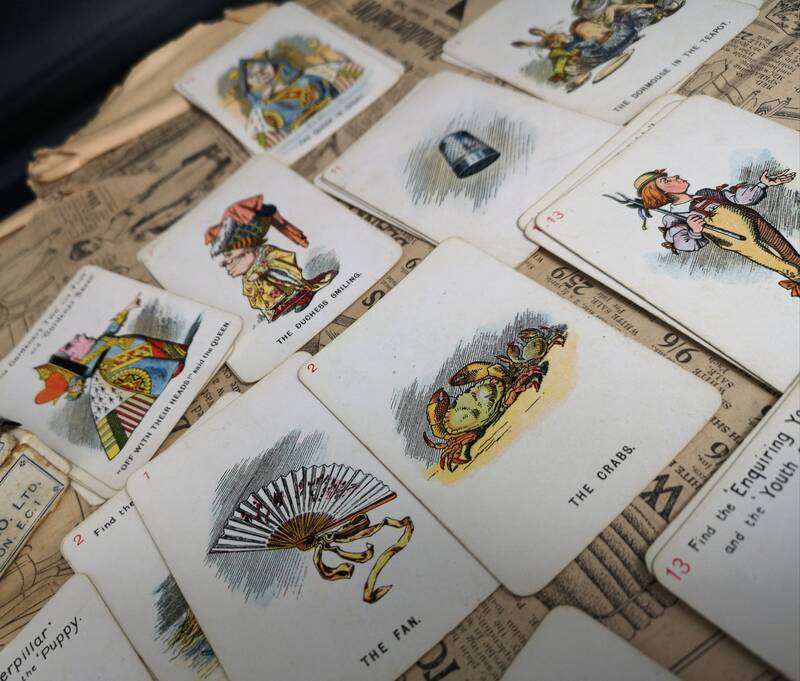 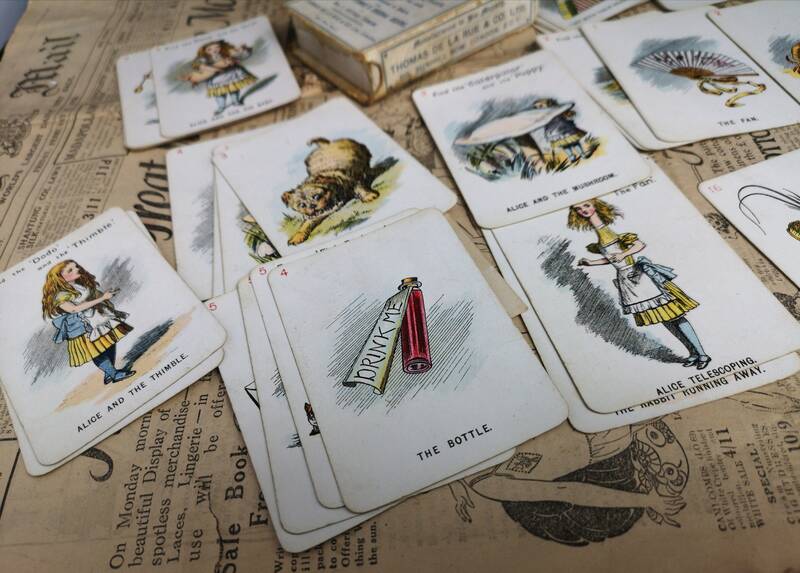 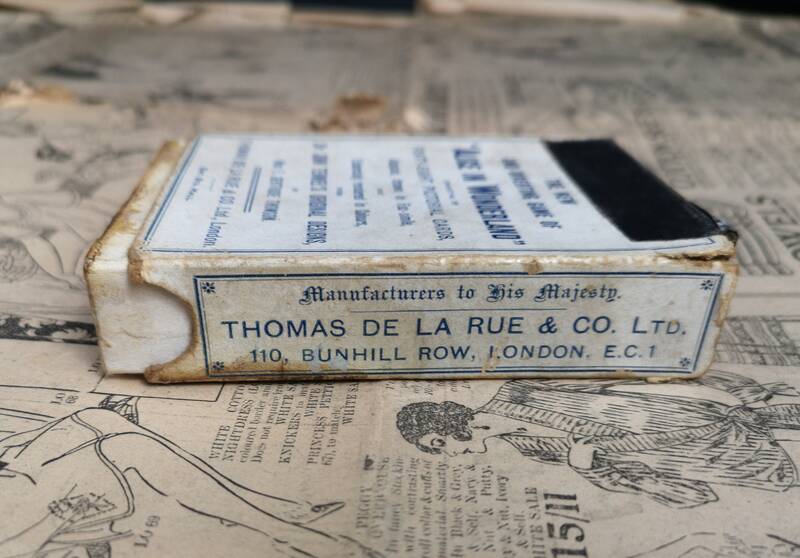 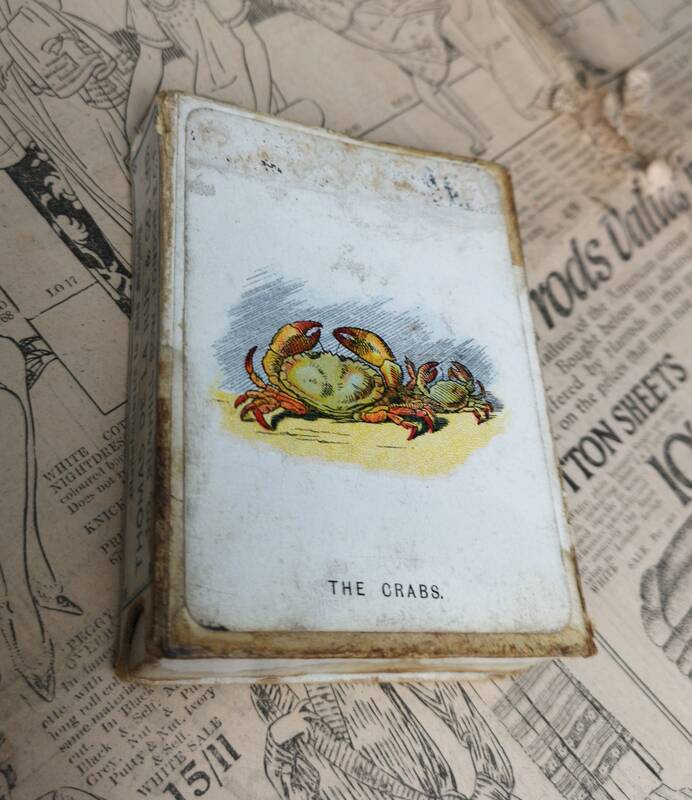 A fantastic and scarce antique card game, Alice in Wonderland by De La Rue. 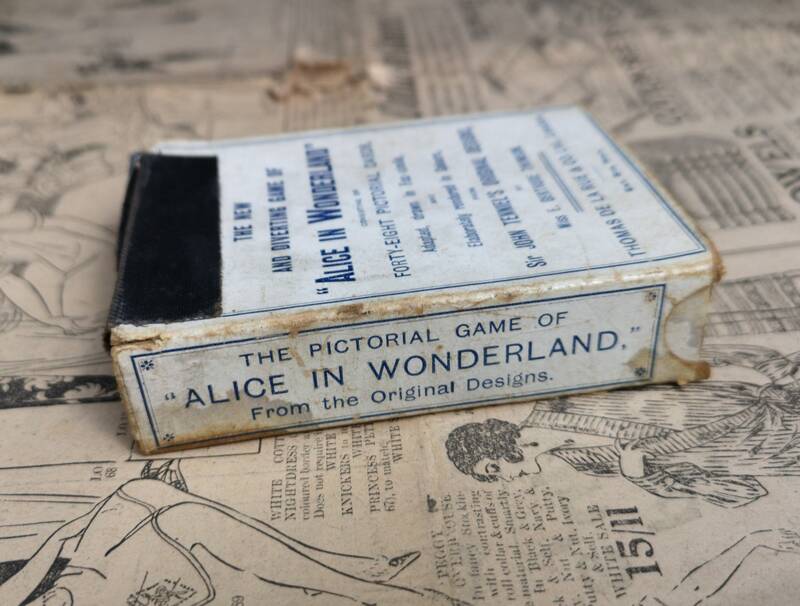 By appointment to his majesty early Edwardian. 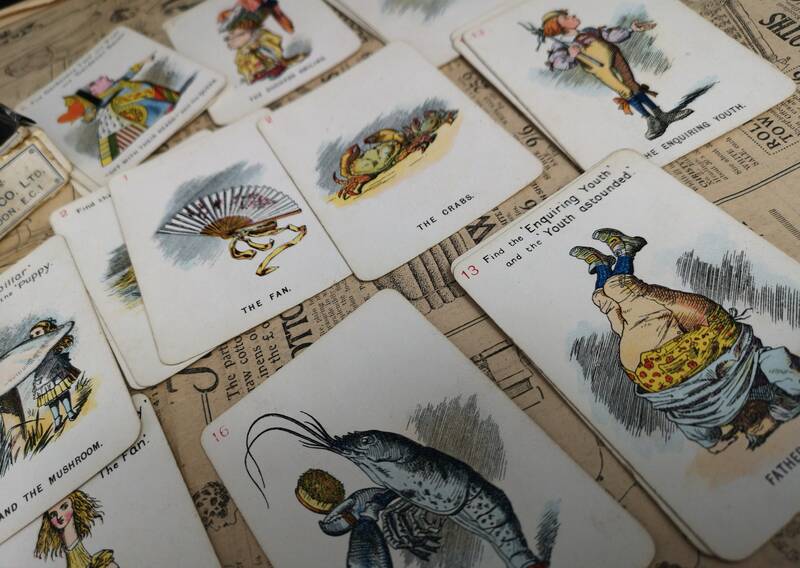 Based on the famous novel by Lewis Caroll, published early 1900's with fabulous illustrations by E Gertrude Thomson based on the original designs by Sir John Tenniel. 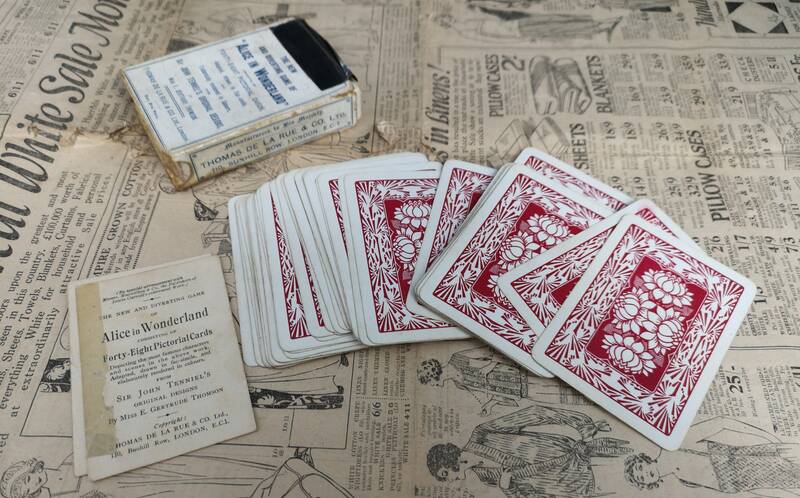 48 pictorial cards, original paper instructions in two pieces, original outer sleeve. 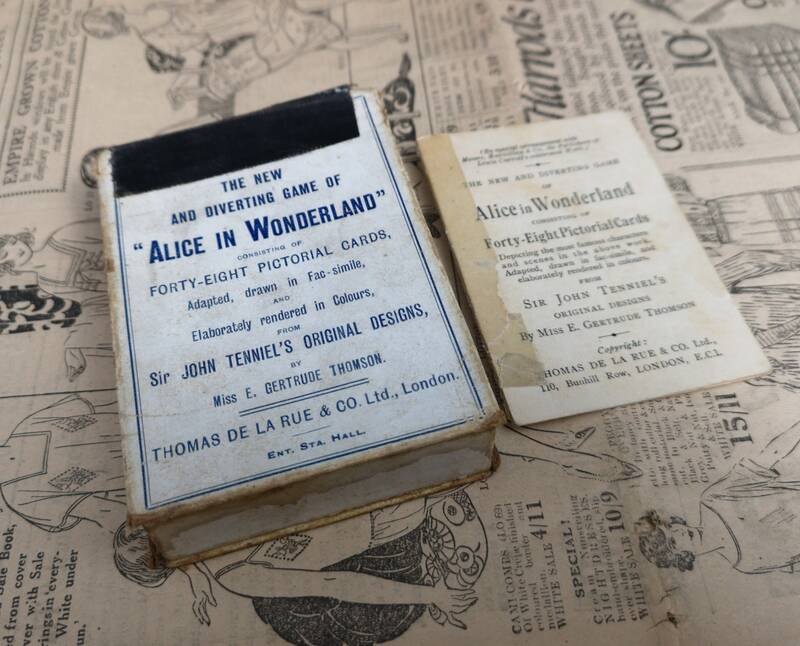 Condition is good overall, playworn, all present, outer sleeve is tattered but still complete.